Lately, people started complaining that they lost followers on Instagram, without knowing the reason. But now, Instagram has come up with an answer: they will remove fake likes, comments and follows. Why and how? Let’s find out! Ever since the rise of social media networks, each of us wanted to get more followers, more likes and more attention. Sometimes it didn’t matter if it was real or just coming from bots. But, as the time passed, people wanted to be more and more authentic and to think whether their followers were true or bots. Not influencers. Some of them actually used to buy likes, follows and interactions. Whenever Instagram finds suspicious activity from an account it will send a push notification within the app saying that the automated activity has been removed and advising the account owner to secure the account and even change the password. They say the use of third-party apps can endanger the privacy of the user data. 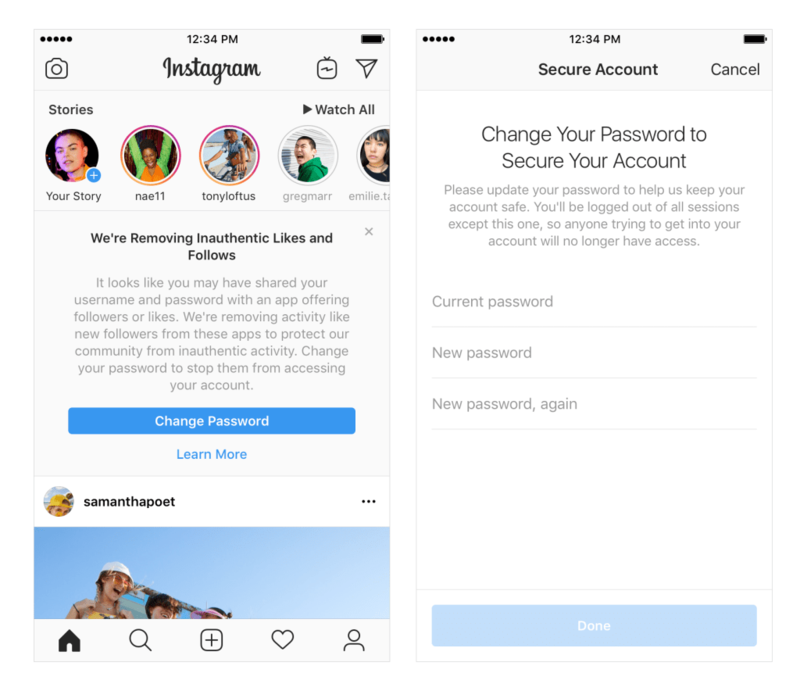 They also advise users not to use any authentication with Instagram on third-party apps because they will have access to the username, password and maybe other personal information as well. Instagram states that they have already removed other accounts that looked like fraud and more likely they were fraud, in order to give an authentic experience to the users. Their intention is to make users feel safe and truly appreciated by other genuine accounts, not some bots that automatically interact with them.